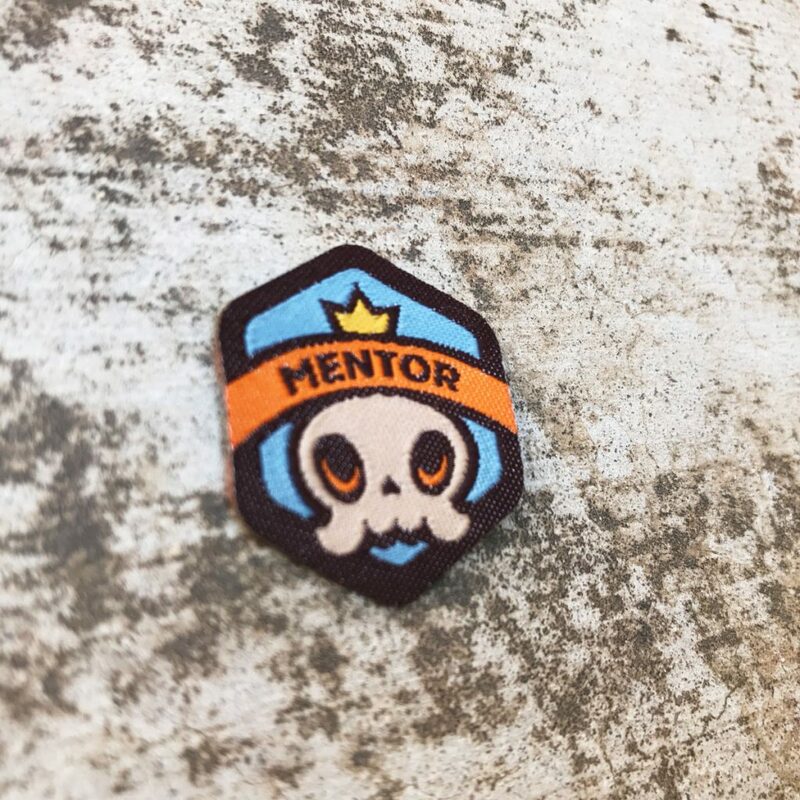 The Mentor Spirit Badge is intended to be a gift that one Ranger gives to a Mentor of theirs. This can be someone who offered advice when it was needed, taught a valuable skill or lesson, or somehow supported them. It is not intended to be bought for one’s self; when it appears on a uniform, it means that it was given TO that Ranger. 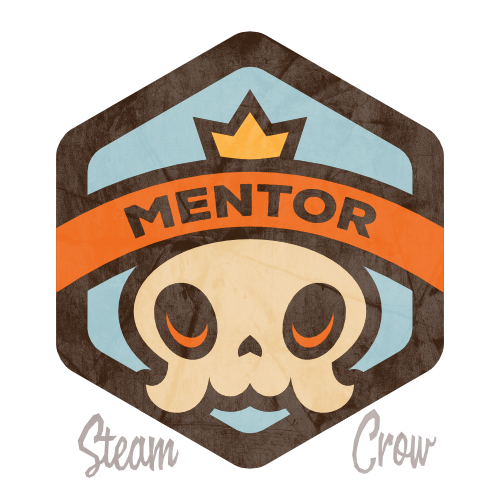 There is but 1 level of the Mentor spirit badge. This badge was suggested by our Rangers; we loved the idea. The Mentor spirit badge is worth 100 Glory points, more than most Spirit Badges. A happy skull is a healthy skull. Crown = leadership. Skull = a Memento Vita. Learn everything that you can; listen to their experience. Bring them cookies, a meal, or company from time to time. Gift them one of these badges, explaining what it’s all about.